Spy cameras have become increasingly popular in today’s world. A spy camera is a very small camera and is used to record the video of a person and his location without his knowledge. Some versions of this miniature camera are also capable of recording audio. They are primarily used for surveillance, although they are also used for commercial activities. Another common area where spy cameras are used is for parents to keep track of caregivers to check how they treat children in their absence such as when they are at work. 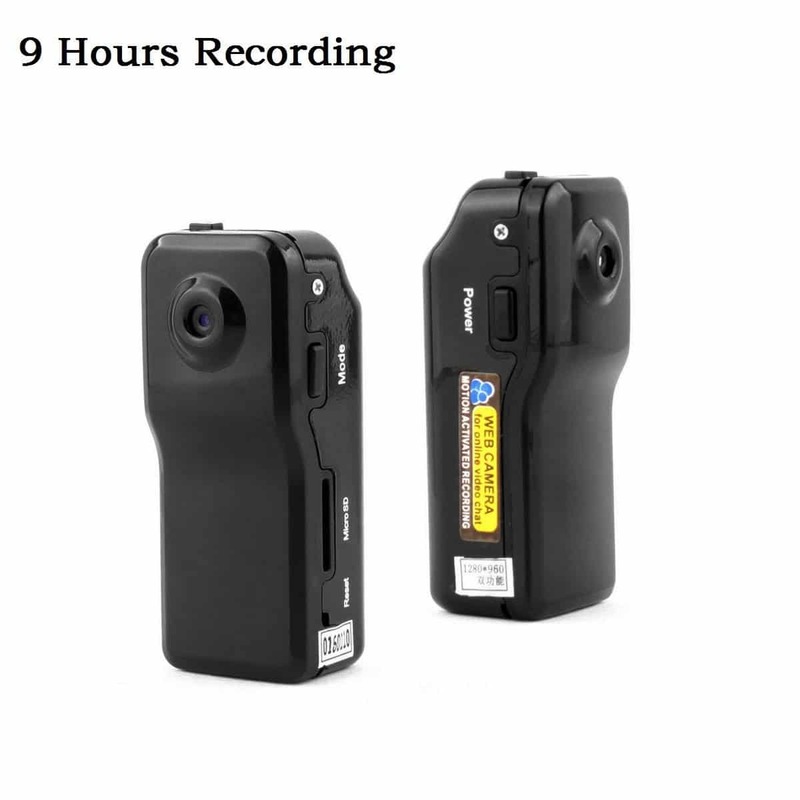 Law enforcement uses these cameras to offer proof of misconduct or theft. Therefore, they also play an important role in protection and investigation. Spy cameras can be either wired or wireless. The wired type is often connected to a storage device that encompasses the recordings whereas the wireless model transmits the same to a receiver in a limited radius. The following is a list of the best spy cameras that you may find useful to meet your needs. The Aobo spy camera can be easily hidden from visibility and is very easy to use. The spy camera features a 1920 x 1080p HD camera that records both pictures and videos. The device also has infrared night vision lights to support taking photos and videos even in low light. The unit records videos only when the motion detection mode is activated and it senses a moving object. In the absence of any motion, the camera automatically goes to the standby mode until it is next powered on. The gadget comes with an SD card reader for you to insert an 8 GB to 32 GB micro-SD card for loop recording. This allows the camera to automatically delete the oldest video file when the card is full and record the new video. The small compact wireless camera comes with an easy installation process. The unit is made of high-grade aluminium alloy and features a strong powerful magnet. The wireless device supports recording without Wi-Fi. 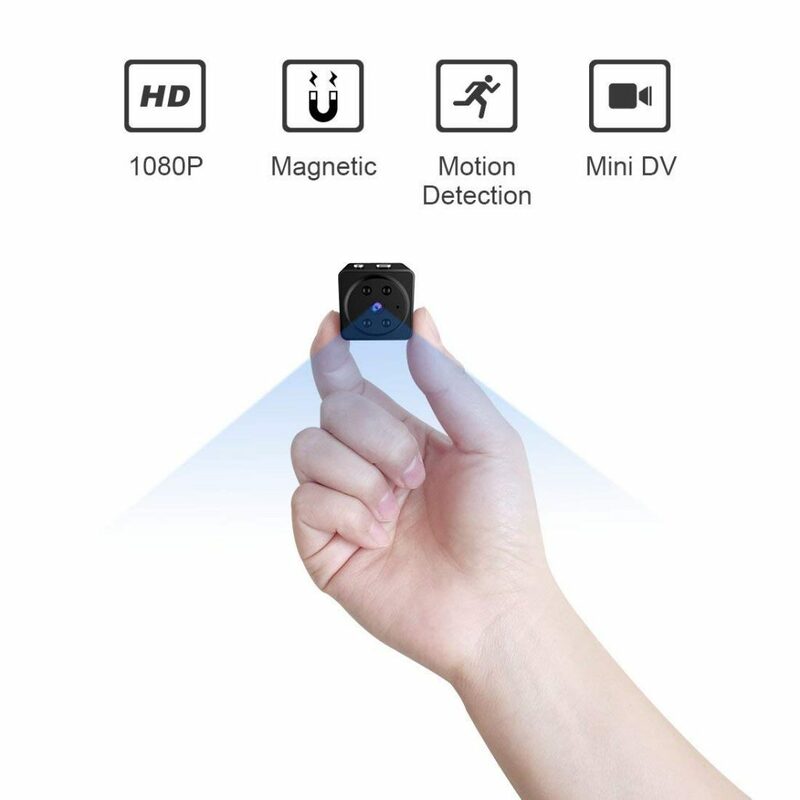 The Closeye spy camera features a 2 MP advanced image sensor that records 1920 x 1080p resolution HD videos with exact colour reproduction at 25 fps. The device also has a lens with 150 degrees wide-angle lens that allows wide and extensive coverage of surrounding areas. The six high power infrared LED lights render night vision up to a distance of 5 m in low light or in the dark. The LED lights can be turned on or off remotely and avoid glare that might be a disturbance. It supports a 128 GB micro-SD memory card to allow nonstop playback and recording. The spy camera takes a picture automatically every time it senses motion and keeps you informed about the same on your smartphone. The unit can also be set to record activities of a particular time. The device enables remote monitoring on your Android or iOS smartphone with the HD MiniCam app. The gadget works with both 2.4 G Wi-Fi and non-Wi-Fi. When it works without Wi-Fi, the spy camera will save the recorded video files in the SD memory card. It comprises a 300 mAh lithium-ion rechargeable battery that records HD videos continuously for an hour. The spy camera comes along with a magnetic bracket, a magnetic tab, two USB cables and an instruction magnet. 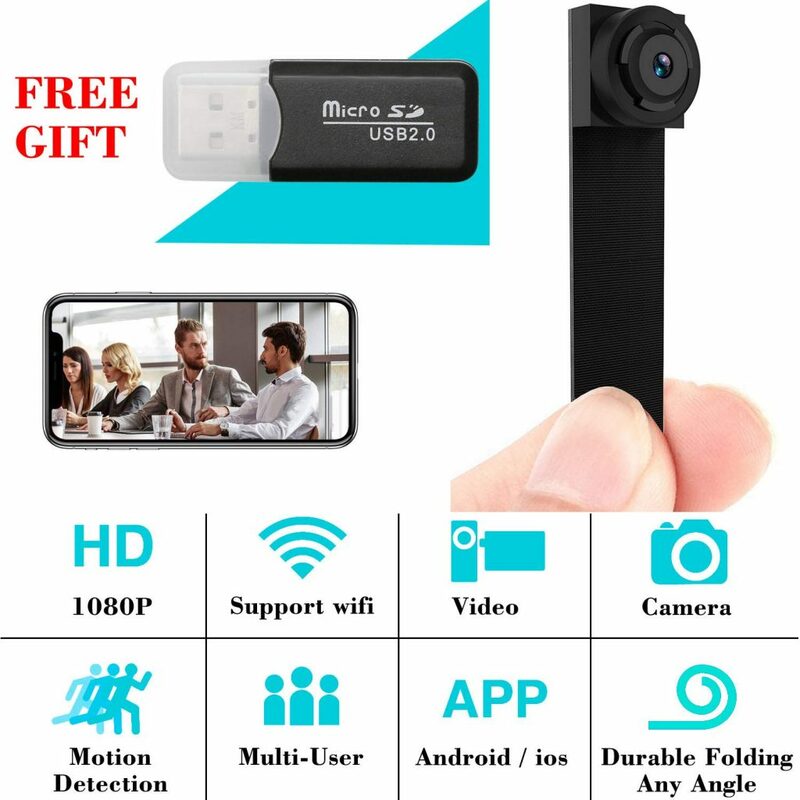 The ELValley spy camera is very small that makes it easy to hide and to record photos and videos without anyone knowing about it. 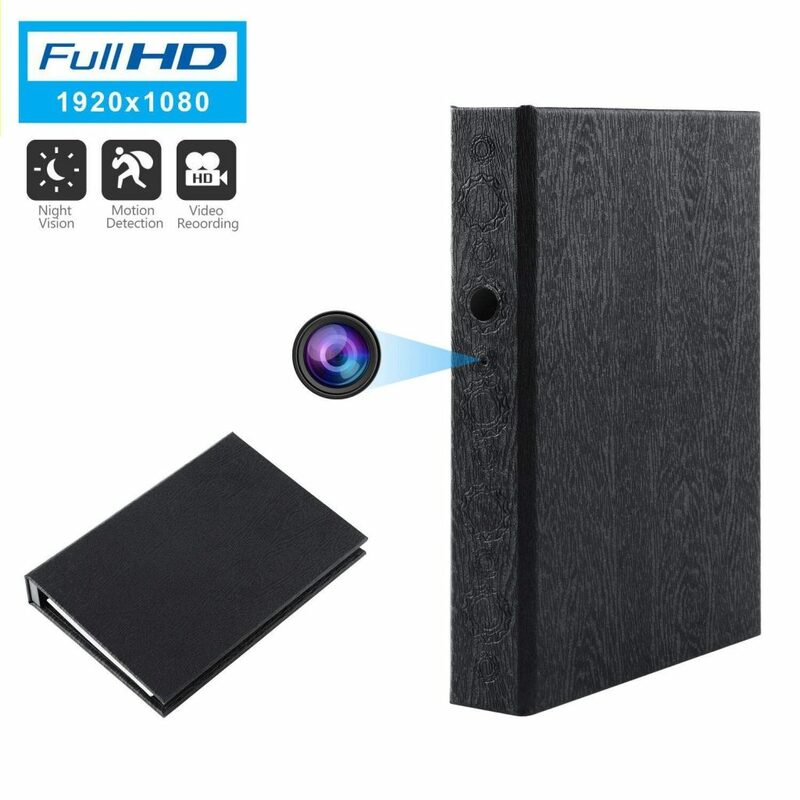 The mini camera records AVI videos with 1920 x 1080p resolution and HD format so that you do not miss out on any detail. It also supports 1280 x 720p and 960 x 640p resolution recordings at video frame rates of 15 to 30 fps. The device takes a picture every-time it detects motion and sends you a message on your smartphone. The sensitivity of motion detection can be set according to your preferences. The unit offers provision to insert a TF card or a 64 GB micro-SD card for Wi-Fi streaming through an Android or iOS app. The Wi-Fi camera supports alarm intervals and schedules, push notifications and warning tones too. It also allows remote and local connections, multi-view, multi-user access and password management. For remote connection, the associated smartphone should have access to the Internet through Wi-Fi or mobile network. It encompasses a USB interface for you to connect the camera to any USB adapter. The camera is compatible with Mac OS X and Windows (computer), as well as iOS and Android (mobile) operating systems. The gadget features a 2,500 mAh rechargeable battery that you can charge, even when the recording takes place. The battery can be charged using a household power supply socket, 5 V vehicle power supply or a portable power source. The Pannovo spy camera is a hidden camera fitted inside a wireless mobile charger. The spy camera records/shoots HD videos and photos. The videos get recorded in AVI format at 25 fps and have a resolution of 1280 x 720p. The PTZ lens in the camera is capable of rotating to the left and right at an angle of 160 degrees. The wireless camera supports the inclusion of a 128 GB micro-SD card, although it can be used without the memory card. The recorded videos can be viewed using a VLC or media player. 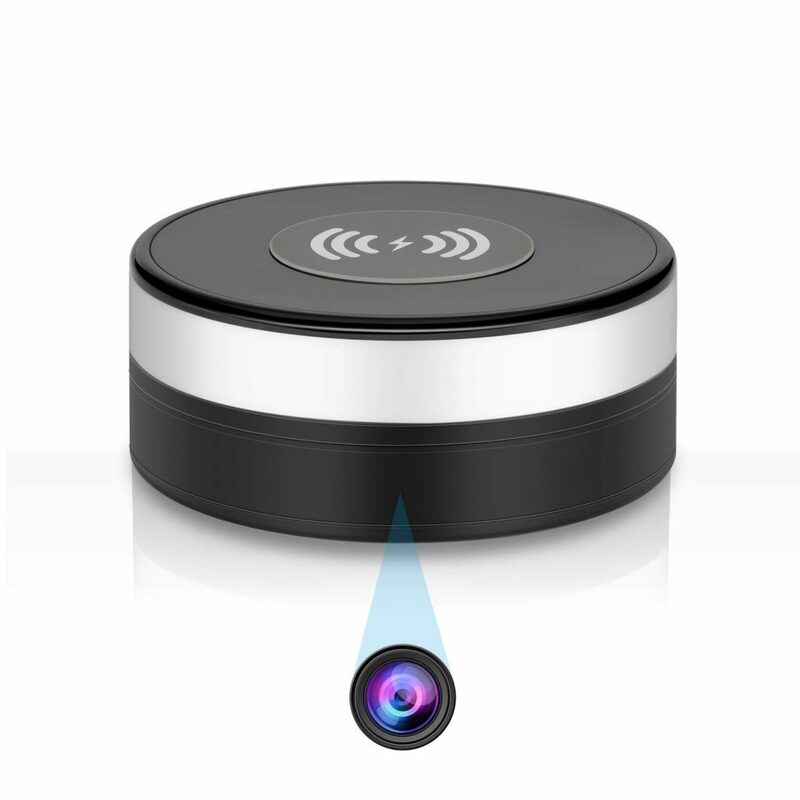 The light on the camera keeps changing colour continuously when the device is used as a wireless charger. The camera can be connected to the router via a smartphone or a tablet to support remote monitoring from any location. When the notification function is activated, the camera notifies you using the phone app. It also takes a photo immediately and saves it to the app’s photo album. If you have inserted an SD card, you can adjust the motion detection setting for recording videos. The videos get automatically saved to the SD card. 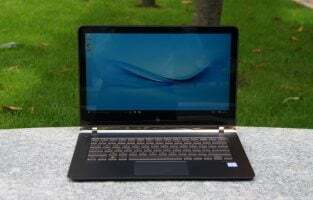 The gadget is compatible with Windows 7/XP, Android and iOS operating systems, and supports 2.4 G Wi-Fi connection. The spy camera comes with a DC charging cable, a user manual and 12 months warranty. 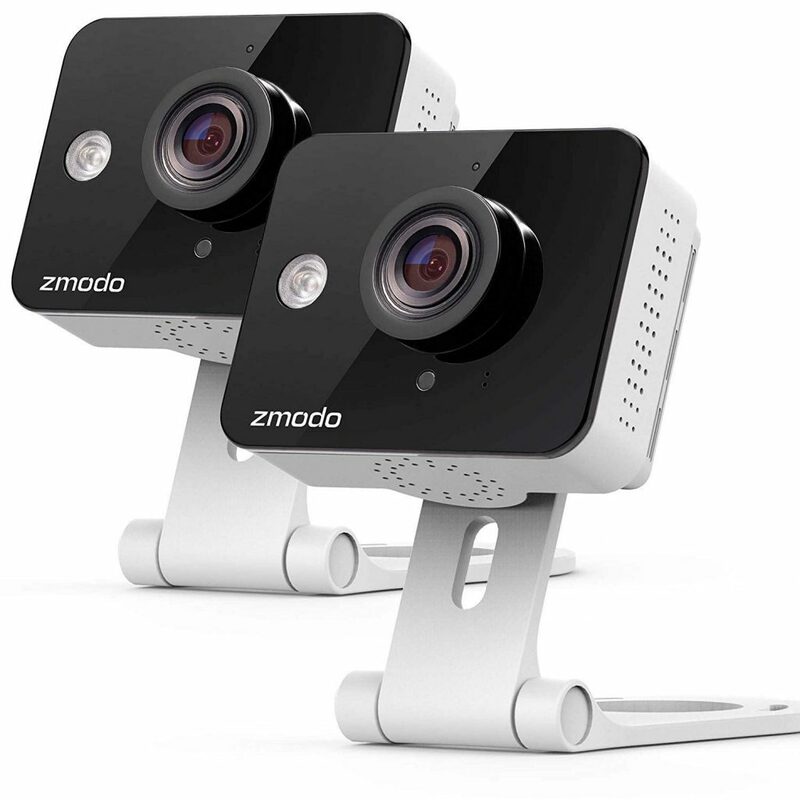 The Zmodo spy camera has a 2.1 mm lens with a 720p HD color image sensor and 115 degrees viewing angle to capture the entire room without having to tilt the device. The spy camera also encompasses black and white automatic infrared lights for night vision so that you can keep a track of the happenings in case of low light situations. It comes with an inbuilt microphone with two-way adjustable audio that has adjustable volume levels for you to listen and connect through the Zmodo app or user.zmodo.com website. The device keeps you informed of motion detection through push notification alerts that are sent to your smartphone so that you are aware of what is happening. You can customize the detection so that movements in only specific areas are recorded and notified. The recorded videos have playback support so that you do not miss viewing any moment. You can also choose a specific mode and time so that you get the notifications only during the specified time. The four-channel viewing support allows you to monitor four places at a time with just one operation. The gadget can be shared with others so that they can do all the things that you do as long as you assign the permissions. All recorded clips are stored for free for 12 hours in the Cloud so that they can be reviewed, customized and shared easily. The home security camera is available in three variations of one or two cameras for indoor use and four cameras for outdoor use. The device comes along with a power supply for each camera and a quick guide. 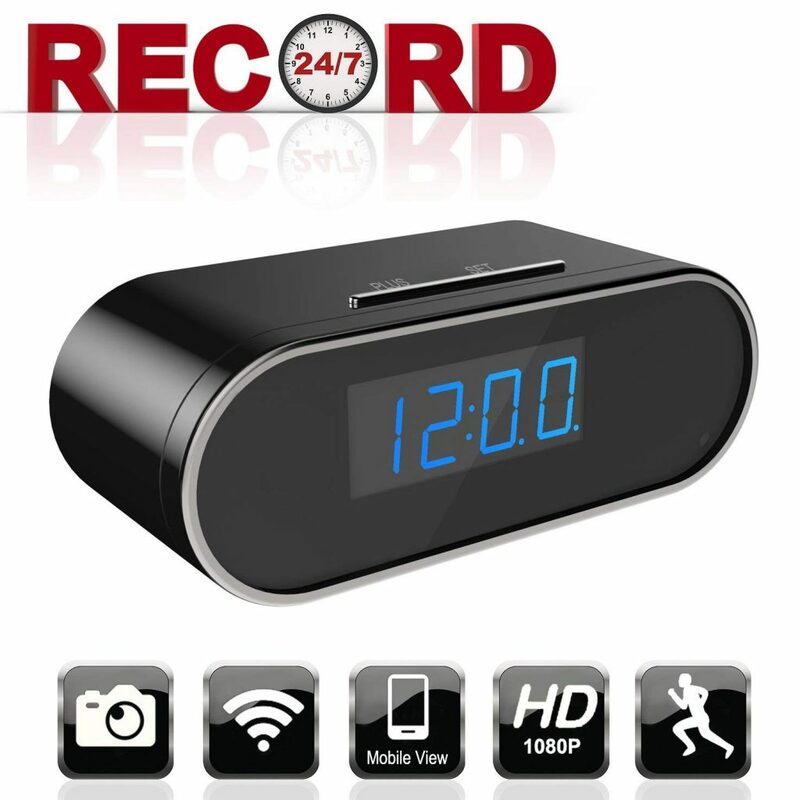 The Aurola spy camera is hidden inside a black oval tabletop digital clock with blue LED display. The spy camera records HD 1080p videos so that you see faces and details with maximum clarity. The device also supports recording in 720p, 640p and 480p resolutions. It has an SD card slot that supports a micro SD card with a maximum memory of 32 GB. The device supports remote monitoring and playback using the app available in the app store for both iOS and Android smartphones and tablets. It supports connection with multiple devices so that many users can track the live feed at the same time as long as all of them have the login credentials. The camera also supports the standard loop recording and motion detection functionalities. The spy camera is compatible with 2.4 GHz Wi-Fi connection and offers three video viewing modes. The SD card mode allows you to record the footage’s directly on to a preformatted SD card. The remote mode helps in watching the live feed on a smartphone, PC or tablet by connecting the camera with the wireless router that is kept in the location to be monitored. The point-to-point mode works by setting up a connection between your camera’s hotspot and your smartphone. However, this option requires you to be present in the camera’s surrounding areas. To use the camera for round the clock monitoring, it is advisable to keep the device connected to the USB adapter. 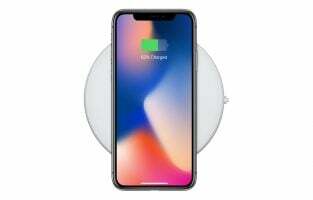 The in-built rechargeable 2,000 mAh battery allows the camera to record activities continuously for over five hours when the battery is fully charged. The camera comes with a USB cable, an AC adapter, a battery, a CD drive and a user manual. 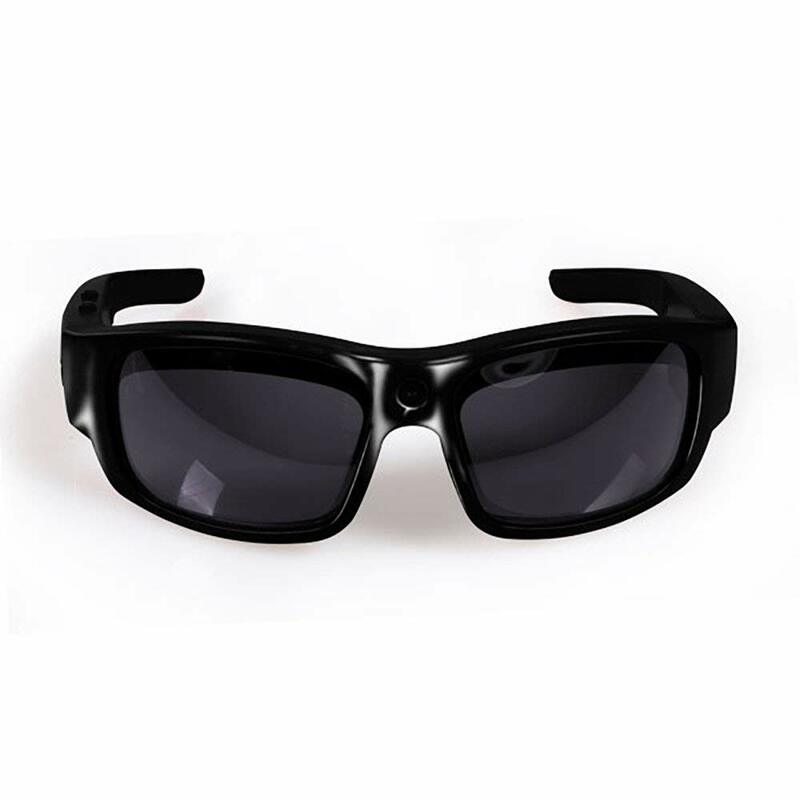 The GoVision spy camera is concealed inside a pair of sports sunglasses with a SONY CMOS sensor and oversized rectangular lenses. The spy camera supports easy video recording at the touch of a button. 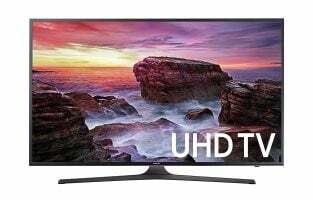 It allows 1920 x 1080p resolution HD video recording at 30 fps and 1480 x 1080p resolution Super HD video recording at 30 fps. The device also records 16 MP still pictures with image stabilization. The blinking light indicator on the inside of the sunglasses shows the current recording mode. The inbuilt microphones on both arms produce high-quality audio to perfectly complement the video being recorded. The gadget supports a micro SD card with a maximum memory of 32 GB. The camera has a sharing feature that allows you to transfer data to your Mac or Windows computer at a fast rate. It offers light adjustment and autofocus functionalities as well. The lightweight sunglasses fit almost all heads and provide resistance to almost any weather and impact. The spy camera encompasses an inbuilt rechargeable battery that offers uninterrupted video recording for two hours. It comes with an 8 GB SD card, an anti-tangle USB cord, a cleaning cloth, a manual and a warranty card. The GooSpy spy camera is located inside a book that makes it ideal to set up on a bookshelf. The spy camera records videos at a resolution of 1080p @ 30 fps in AVI format and is positioned at an angle of 75 degrees inside the book. The device has hidden controls on the side that are visible when the book is opened. The recording begins by just sliding a switch. The camera features an MD mode that starts recording videos when it detects any kind of motion. It has a very powerful invisible infrared light that supports super night vision and renders excellent clarity in darkness and low light. The unit also allows loop recording when a micro SD card is inserted into the memory card slot. You can use a memory card with a maximum capacity of 32 GB. 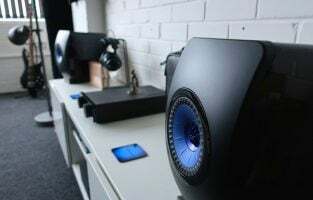 The videos recorded by the camera can be played on Windows and Mac systems using VLC Media Player, Windows Media Player, iTunes and Quick Time. 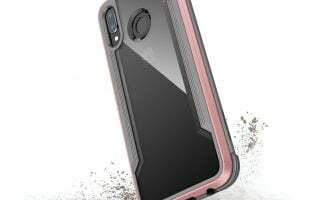 The camera encompasses a 10,000 mAh rechargeable battery that allows you to record without stopping when there is no IR and 9 to 10 hours when IR is activated. It comes along with a 2 A micro USB cable, a user manual, a reset pin and a card reader. 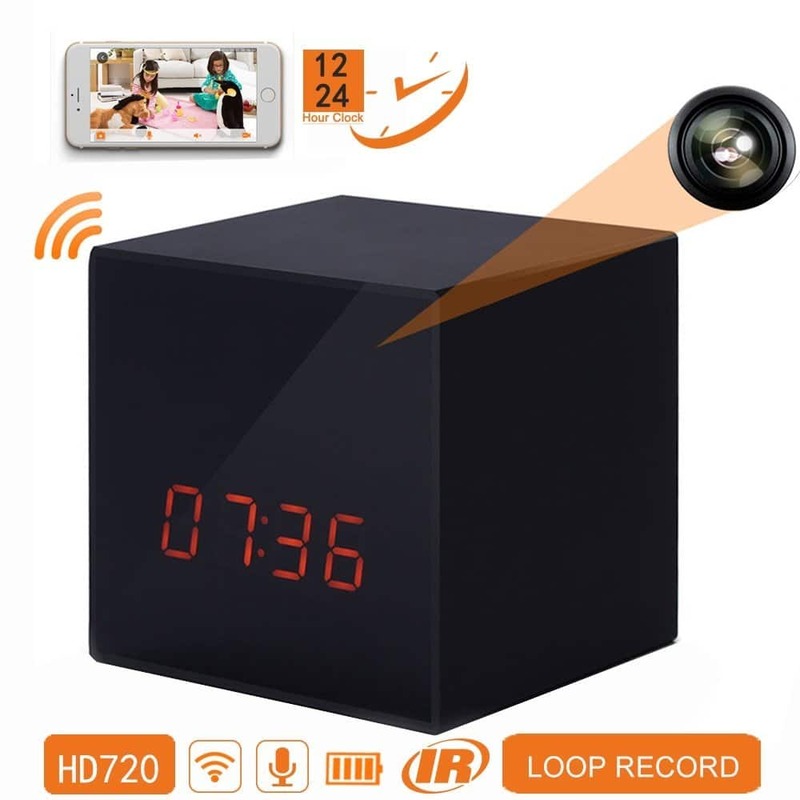 For those who are aiming at being discreet, the wall clock spy camera is a great choice because it is considered to be in the top best spy cameras. It has a pinhole camera which uses electricity to stay powered on. The camera has a 2 feet power cord that you must connect to a wall jack for the camera to power on. Once it is on, it will automatically connect to the Wi-Fi and you can use the smartphone app for controlling the camera. A desktop software is also available. This will allow you to view live video from the camera and you can also record videos. The app is available for iPhones and Android devices. The camera is made of superior quality materials. The Wi-Fi connection i=can be established easily by anyone. The camera has a 16GB SD card memory. A spy camera hidden neatly in a photo frame is ingenious. 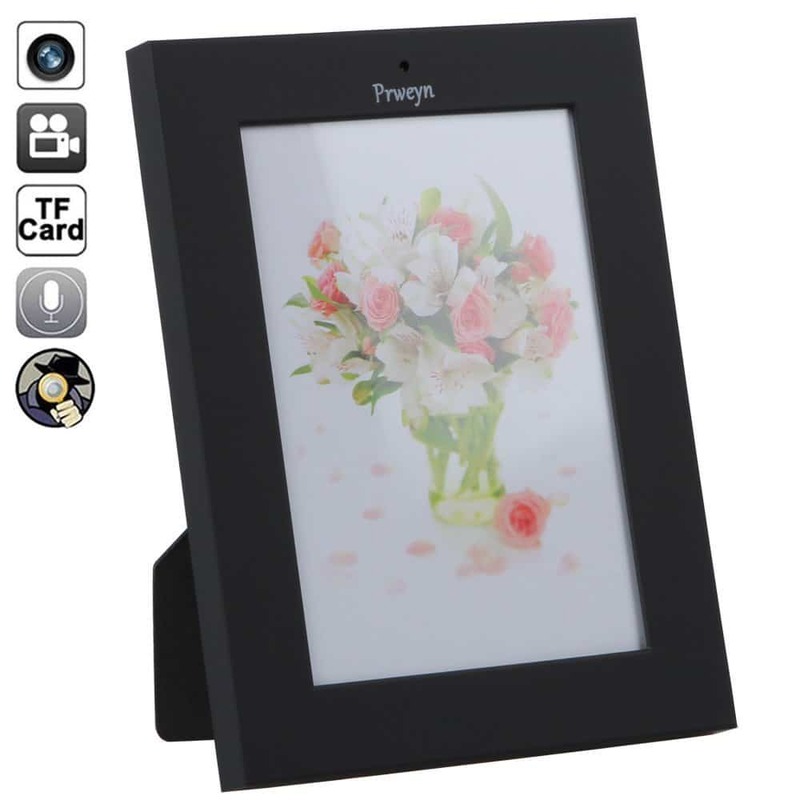 There aren’t many people who are going to look for cameras up sleek photo frames which means that you can discreetly watch the people in and out of your home or office cabin without anyone knowing that you are watching them. It has 1280p x 960p resolution. 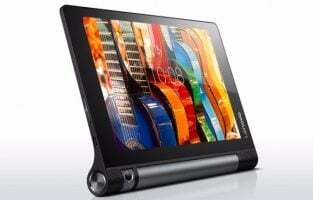 It uses a polymer lithium battery and it has a TF (Trash Flash) card slot for 2GB to 32GB cards. It does not offer Wi-Fi connectivity which may limit your ability to use the camera. This spy camera is so subtle that it does not have the lens showing at all. 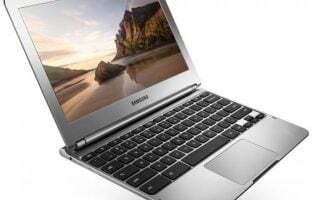 It supports Wi-Fi connectivity and it also comes with onboard storage. 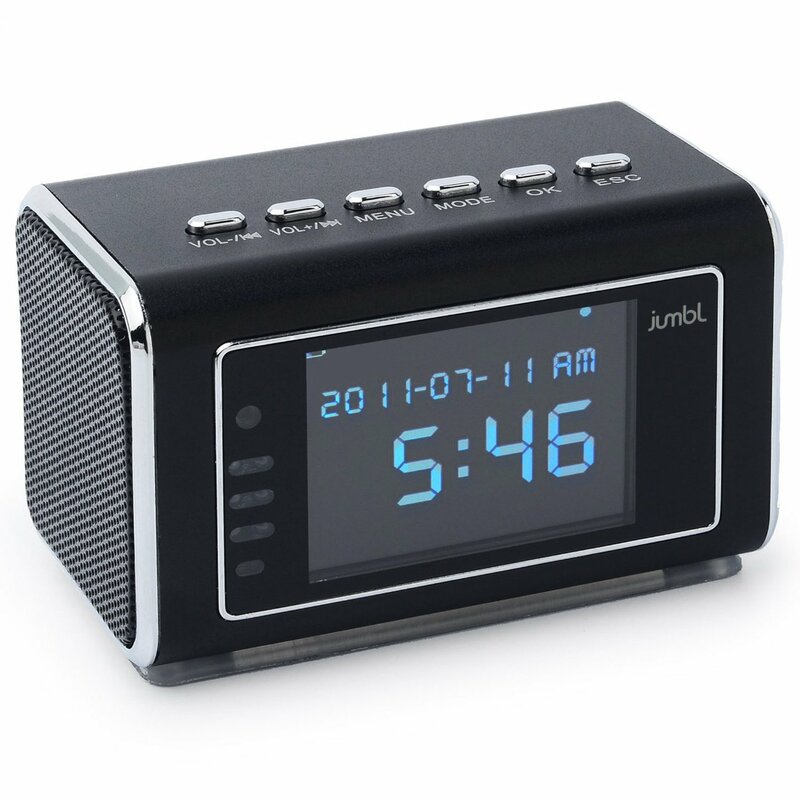 The 3.1-inch clock is based on a low-key design and it comes with an IR infrared frame that gives this spy cam night vision abilities too. The clock has a Micro SD card slot which can be used for up to 64GB micro SD card. It has up to 8 meters of night vision ability and can listen to conversations at up to 10 meters. It provides good quality video and audio. While the camera cannot be seen by any outsider it still functions perfectly well. Another camera that is completely hidden is the Jumbl spy camera. 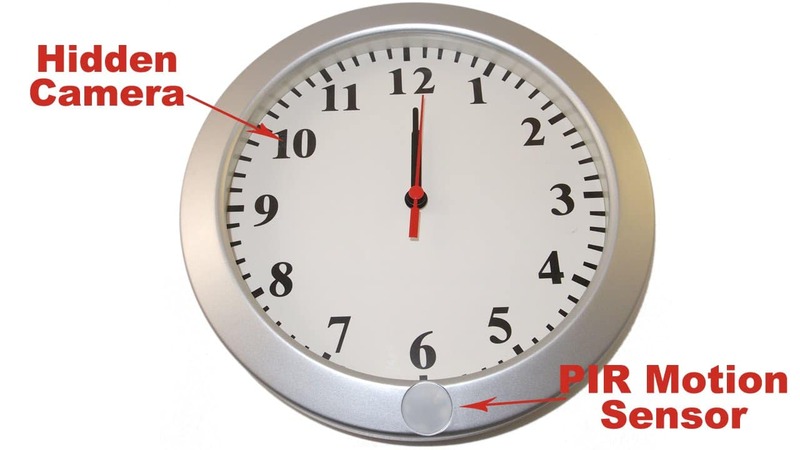 The camera is installed in a radio clock and it is hidden so well that no one can get an inkling of the presence of a spy camera in this device. It has a motion detector and it also features Infrared Night Vision. This means that you can set the camera to begin recording as soon as motion is detected. It comes with a Micro SD card slot that supports 32GB storage. It is designed in a way that the camera can operate as a standalone device since you can watch videos in the 2-inch screen itself. It takes away the hassle of deleting old videos too by using the loop feature that allows the camera to overwrite old files. Spy cameras in 2019 are becoming better and more effective. 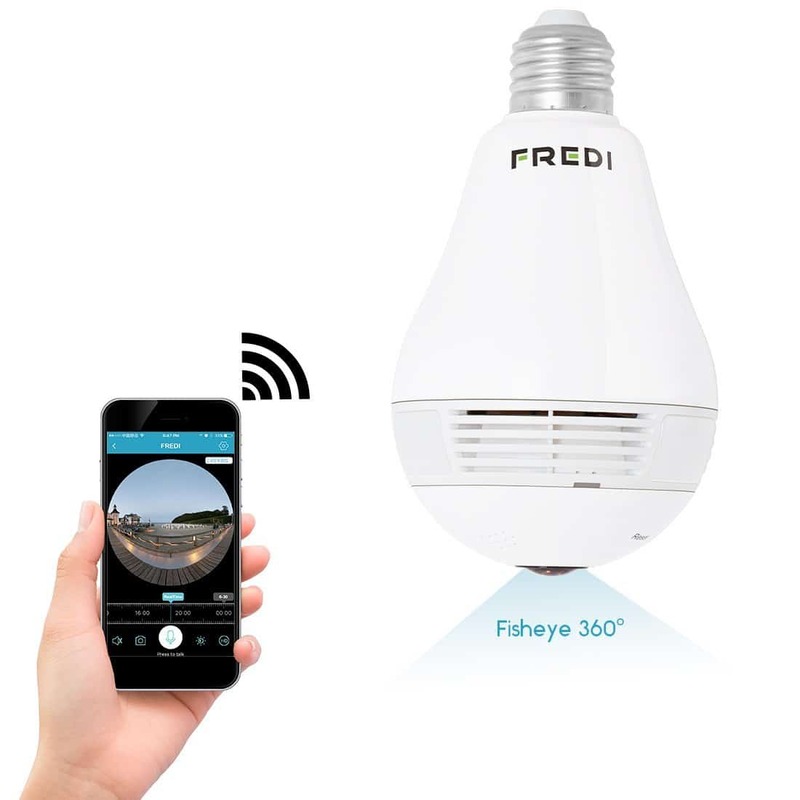 The FREDI LED bulb functions as a bulb to light up your room, but it also provides the added benefit of a spy camera with a 360-degree angle. 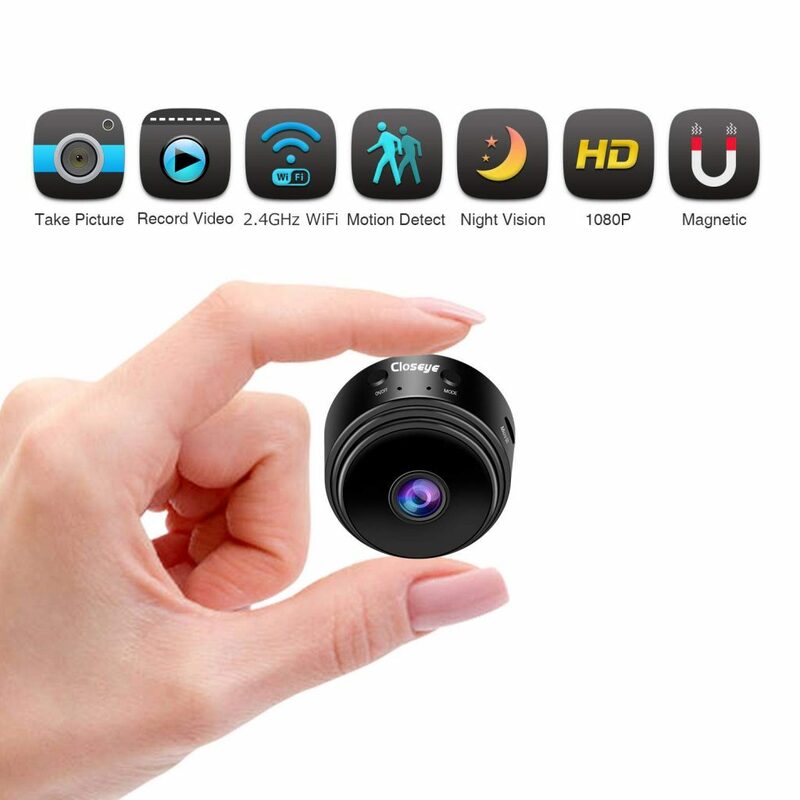 It has a 1/3 inch fisheye lens which makes it easy for you to view what is happening in your house or office when you are not around. It supports Wi-Fi connectivity. You will find it easy to connect the camera to Wi-Fi so that you can get started. It comes with a motion detector which allows the camera to send a notification to you when motion is detected while you are away. The loop recording feature makes sure that old files are automatically written on so that you do not have to worry about manually deleting files to free up memory. This small camera is in the shape of a button and it fits any place easily so that you can watch over an area with no one knowing about it. It has the option of recording photos as well as videos. It supports a micro TF card up to 32GB. The camera is designed to be small and light. It comes with a remote control which gives you the chance to control the camera. The 3800 mAh lithium battery can work for 6 hours before it will need to be charged again. You can recharge the camera using a cable that comes in the box. It also comes with a 1-year warranty. There are a few factors to consider when you plan to buy a spy camera. One of the vital parameters to be looked into is the area covered by the device. If you want coverage of a large area, then you will have to rely on wired cameras. However, if short distances are your focus, you can opt for the wireless counterpart. Also, while most spy cameras can be used in any environment, some of them are designed to cater to specific environments. So, this is another aspect that is worth looking into when you invest this gadget. Last but not least, you may want to use a spy camera in your home, you may want a spy camera that is hidden from normal view. If that is the case, opt for ones that come hidden in normal household items like a charger, clock or just about anything else.